Sal is a detective in a world where everyone’s visual experience is recorded. Using the privileged access afforded to him as a detective, he sifts through the memories of victims, suspects and bystanders to solve crimes. His job is dull, with the evidence always just a thought away, crimes are easy to solve and impossible to get away with. This makes it vexing when someone appears to be able to hack the surveillance system installed in everyone’s head to not only replace the recordings of their experiences, but also to hijack what they can see, beaming images into their retina that either paralyse them with fear, lead them to acts of inadvertent self-harm or are used to hide the identity of the person murdering them. Suspecting an anonymous hacker referred to as “The Girl” or “Anon”, the authorities set up a sting to allow them to trace her back to her origins and pierce the veil of anonymity she’s managed to erect around her persona. The film has a number of interested premises. Taking place in a largely washed-out grey world, all content, be it advertising, information or entertainment, is superimposed upon the eyesight of each individual in a form of super-advanced augmented reality. The real world of bricks, mortar, flesh and blood is therefore devoid of decoration or interests, serving only as a canvas. People are identified in each other’s eyesight, alongside their ages, job titles and CVs, with separate information on the breed of their dog, the make of their car and the nature of the smell on their breath. The natural discretion we all take for granted is casually stripped away. Since all work is done using internally-visualised displays, controlled mentally and hands-free, there is no need for computers, interfaces, telephones or reference documents of any kind. Offices become dull buildings with empty desks at which people sit, executing tasks in a virtual environment that exists only in their mind’s eye. A detective performs his duties without leaving the interview room and people can spend their free time living past memories by replaying them indefinitely. Unfortunately, the premise makes for a repetitive and dull visuals, which harm the attraction of the film. Pair this with fairly dour characters who have little in the way of emotional repertoire and you get a film that feels like a visual representation of societal depression. Added to this is the inconsistency whereby a genius hacker fails to see through the simplest of subterfuges, and the population at large still commit crimes despite knowing they are themselves filming the evidence that will be used to convict them. Finally, the technology at work is not explained at all, either in its functioning or in terms of how it came to be accepted by society. This, it seems to me, is a rich vein of story that was entirely ignored, and could have been used to deepen our understanding of each character. We must therefore take this surveillance technology as presented: People’s memories are recorded, we don’t know how. A seemingly large community of hackers is able to effortlessly sidestep the security that protects everyone’s personal memories and darkest secrets. Once in they can view or adjust these recordings at will and the authorities are powerless to either identify the hackers or to stop them. It feels like the greater story lies behind the story we’re told, and all we have is an anecdote about how it went wrong in this case. The world depicted by the film is almost devoid of emotional attachments, there is little chemistry between the lead actors, sexual or otherwise, and what relationships exist seem to be utterly monotone. Perhaps this is supposed to be a consequence of the omnipresent surveillance system, but the link is neither explained nor implied. 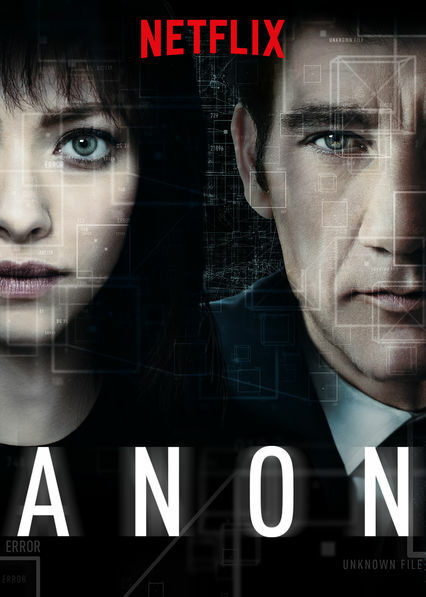 As much as I appreciate Clive Owen and Amanda Sefried, the film came across as too cold and indifferent for me to properly enjoy, which is a shame, because the premise has a lot going for it. Perhaps if Netflix took a little longer getting this kind of material right before filming, it would make for a much more interesting and engaging viewing experience.